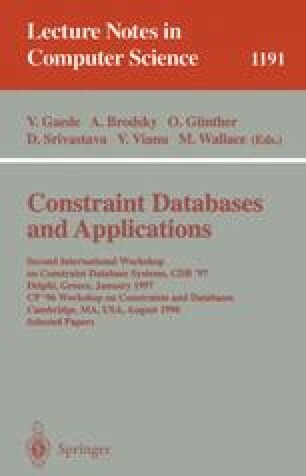 We present early results on the development of database query evaluation algorithms that have been inspired by search methods from the domain of constraint satisfaction. We define a mapping between these two specialties and discuss how the differences in problem domains have instigated new results. It appears that contemporary problems in databases which lead to queries requiring many-way joins (such as active and deductive databases) will be the primary beneficiaries of this approach. Object-oriented queries and queries which are not intended to return all solutions also benefit. Some obvious CSP interpretations of certain semantic database properties suggest open research opportunities.